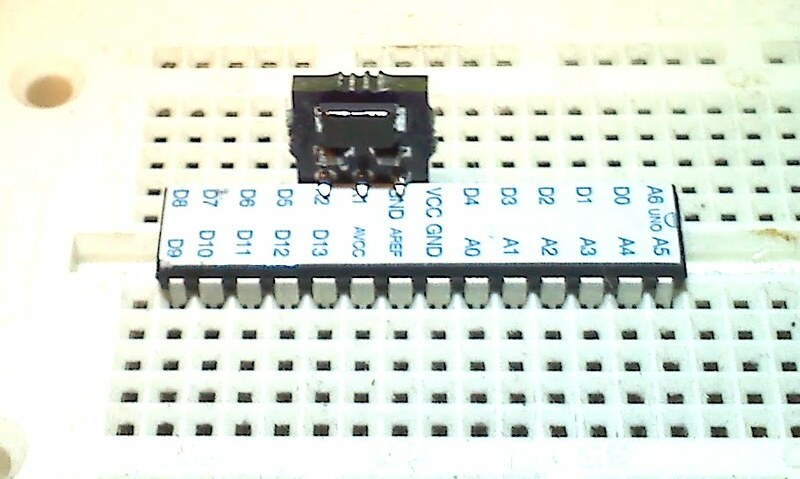 You know how, when you breadboard an Arduino, you have two caps and a crystal to stick in the board and the crystal always falls out? Or you use a resonator but you have to place it somewhere else and run wires over? Just awful! How can we live like this?? Messy breadboard crystal installation may well be the greatest problem facing mankind today and I have personally and single-handedly solved it with this simple, tiny, cheap plug-in, AVR pin-compatible crystal. Ahhh. This makes my OCD voices very happy. 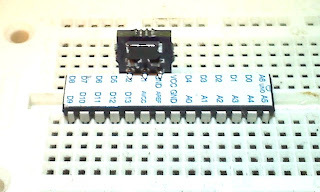 BreadboardCrystal.zip contains all the eagle files, bill of materials, Digi-Key csv, gerbers, etc. 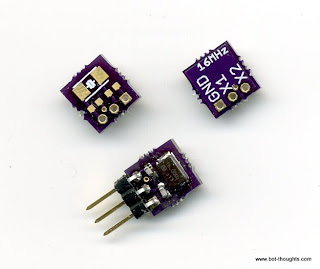 I ordered my boards from OSHPark.com. For giggles, I'm selling these on Tindie. This is kind of an initial experiment in hobby self-funding... But yeah if you want to make your own it's not too awful hard. This is really neat and so simple I am surprised I haven't seen something similar yet. Is the Tindie pack already populated with headers, crystal and capacitors or is just the plain board? Thanks. The Tindie 3-pack is fully populated including the headers. I've already used my initial set several times now and really glad I made 'em. Cool, I'll order one! Now, to find a good use for it. That was an amazing crystal (eezee)! the regular crystal may creates many problems like loose connection, proper ground connections with it, precise capacitors. This crystal will solve all these problem. Thanks for showing it.